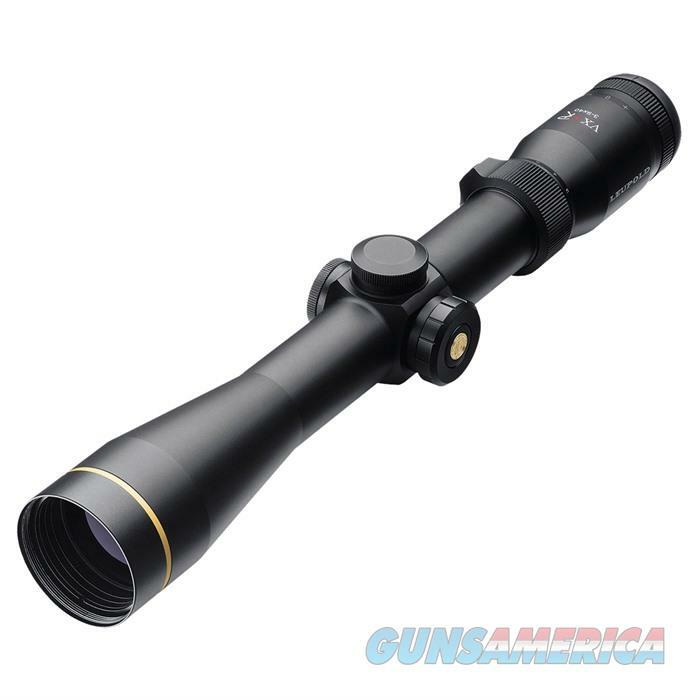 Description: Leupold 120618 3-9x40mm CDS FireDot Wind Plex Matte Black It's easy to see why we say the VX?·R is no ordinary riflescope. Aside from the fiber optic LED illumination system employed in the exclusive FireDot Reticle System, you'll also appreciate the sleek, businesslike look and clean lines atop your favorite rifle. One look through the new VX-R and you'll be able to appreciate all the benefits that Leupold's state-of-the-art optics coupled with modern illumination can bring to bear. Index Matched Lens System? delivers unsurpassed sharpness, brightness, and low-light contrast. DiamondCoat 2 lens coating offers superior scratch resistance.